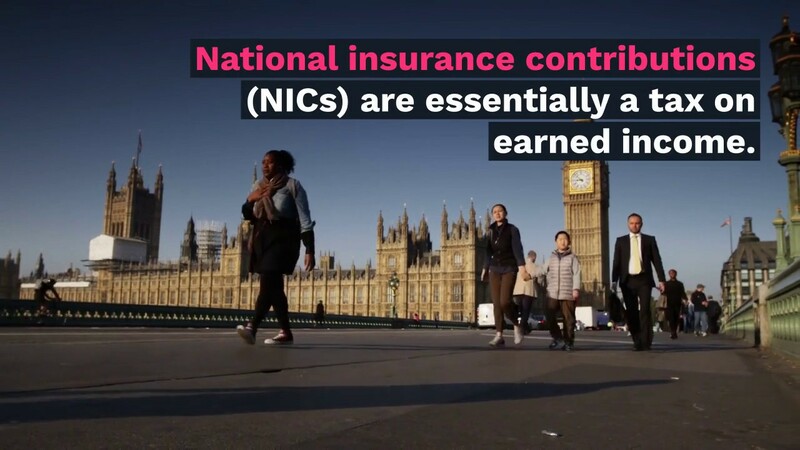 National insurance contributions (NICs) are essentially a tax on earned income. We highlight the areas you need to consider and identify some of the potential problems. The NICs regime divides income into different classes: Class 1 contributions are payable on earnings from employment, while the profits of the self-employed are liable to Class 2 and 4 contributions. Employees are liable to pay Class 1 NICs on their earnings. In addition a further secondary contribution is due from the employer. For 2018/19 employee contributions are only due when earnings exceed a 'primary threshold' of £162 per week. The amount payable is 12% of the earnings above £162 up to earnings of £892 a week, the Upper Earnings Limit (UEL). In addition there is a further 2% charge on weekly earnings above the UEL. Secondary contributions are due from the employer of 13.8% of earnings above the 'secondary threshold' of £162 per week. There is no upper limit on the employer's payments. For 2017/18 the primary and secondary thresholds are £157 per week and the UEL £866. Employer NICs for those under the age of 21 are reduced from the normal rate of 13.8% to 0%. For the 0% rate to apply the employee will need to be under 21 when the earnings are paid. This exemption will not apply to earnings above the Upper Secondary Threshold (UST) in a pay period. The UST is set at the same amount as the UEL, which is the amount at which employees' NICs fall from 12% to 2%. The weekly UST is £892 for 2018/19 up from £866 a week in 2017/18. Employers will be liable to 13.8% NICs beyond this limit. The employee will still be liable to pay employee NICs. Employer NICs are also reduced to 0% for apprentices under 25 who earn less than the upper secondary threshold (UST) which is £892 per week and £46,350 per annum for 2018/19 (up from £866 per week and £45,000 per annum for 2017/18). Employers are liable to 13.8% NICs on pay above the UST. Employee NICs are payable as normal. 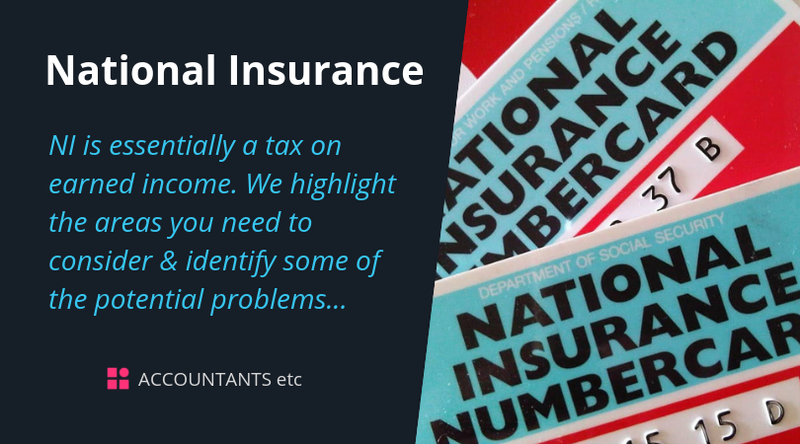 From 6 April 2015 liability to pay Class 2 NICs arises at the end of each year, generally collected as part of the final self assessment payment. The amount of Class 2 NICs due is calculated based on the number of weeks of self-employment in the year and calculated at a rate of £2.95 per week for 2018/19 (£2.85 per week for 2017/18). Self employed individuals with profits below the Small Profits Threshold of £6,205 are not liable to Class 2 NICs but have the option to pay Class 2 NICs voluntarily at the end of the year so that they may protect their benefit rights. For 2018/19 Class 4 is payable at 9% on profits between £8,424 and £46,350. In addition there is a further 2% on profits above £46,350. The thresholds are £8,164 and £45,000 for 2017/18. In a change to the date originally announced, the government has confirmed that from 6 April 2019 Class 2 contributions will be abolished and Class 4 contributions reformed to include a new threshold (to be called the Small Profits Limit). Access to contributory benefits for the self-employed is currently gained through Class 2 NICs. After abolition, those with profits between the Small Profits Limit and Lower Profits Limit will not be liable to pay Class 4 contributions but will be treated as if they have paid Class 4 contributions for the purposes of gaining access to contributory benefits. All those with profits at or above the Class 4 Small Profits Limit will gain access to the new State Pension, contributory Employment and Support Allowance and Bereavement Benefit. Those with profits above the Lower Profits Limit will continue to pay Class 4 contributions. Flat rate voluntary contributions are payable under Class 3 of £14.65 per week for 2018/19. They give an entitlement to basic retirement pension and may be paid by someone not liable for other contributions in order to maintain a full NICs record. The Employment Allowance is available to many employers and can be offset against their employer Class 1 NICs liability. The amount of the Employment Allowance is £3,000 from 2016/17 onwards. From April 2015 the availability of the allowance was extended to those employing care and support workers. Please contact us if this may be relevant to you as there are specific conditions which must be satisfied. From 6 April 2016, companies where the director is the sole employee earning above the upper secondary threshold are no longer be able to claim the Employment Allowance. Expense payments will generally be outside the scope of NI where they are specific payments in relation to identifiable business expenses. Round sum allowances give rise to a NI liability. Are you employed or self-employed? How can you tell? In practice it can be a complex area and there may be some situations where the answer is not clear. If HMRC discover that someone has been wrongly treated as self-employed, they will re-categorise them as employed and are likely to seek to recover arrears of contributions from the employer.